As part of our 'Meet The Team' series we ask our sales team what they think is the ultimate hospitality experience for our VIP guests and what their ideal hospitality would be for, first up we have one of our Account Director Sue Pearce. I am an Account Director, so I will deal with our major clients and look after them to ensure all their needs are met and deal with any requests they may have. What events do you enjoy selling the most? My favourite events are things like the rugby as its one of our core events, I always like going through a typical rugby day with the clients, it is always a really popular one amongst our guests. What would you say is our most popular event? I think our Green Room facility at Twickenham is by far the most popular event we have. I think it’s just down to the whole experience on the day, from the moment the clients arrive to the minute they leave they have had a cracking day out. We always get clients that want to come back year on year and they will always do The Green Room again. Out of all the events we do, which one would you enjoy a hospitality experience at? 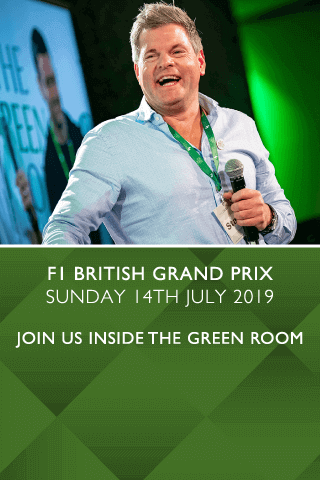 If I could choose out of any I would definitely pick The Green Room, having worked there on a few occasions you can see how special the facility really is and it would be superb hospitality to experience. You have been to a few of our events, which one has been your favourite one so far? The Monaco Grand Prix, I absolutely loved it, we got to live the millionaire lifestyle, you get to experience the luxury yacht which is amazing it is the ultimate VIP experience. So, could you tell us what it is like behind the scenes on an event day? We are pretty organised, we know what we are doing for all of our events and what the clients will need. But there is always so much that goes on and last minute things that happen that you can never prepare for, so we just make sure we are on top of everything at all times so nothing gets missed. Do we have any new events that you are excited for our VIP clients to attend? We have announced The Green Room down at the Cheltenham Festival, so that is something that has got a lot of interest within or client base and I really think it will be one that they absolutely love. We also have new concerts coming up all the time, which are great fun to attend. What would you recommend as the ultimate hospitality experience? The ultimate experience that I have seen so far would be going into the Paddock Club at the British Grand Prix. Not just at Silverstone but for the F1 races abroad too, we sell the Paddock Club for Abu Dhabi and the Singapore Grand Prix as well. To make it the ultimate hospitality experience you can include helicopter rides which makes the event that much more special. If you want to do the best of the best, you will not be disappointed with the Forumla 1 VIP tickets in Paddock Club. With The Green Room moving from Twickenham to Cheltenham, which elements of the suite do you think will work well at the festival? Being in a fantastic location, we will have a great array of guest speakers and celebrities in attendance. Cheltenham for me is one of the best days out ever, it’s a completely relaxed and chilled day full of so much fun and you can’t help but have a cracking day out.